OKC Sandblasting’s new website is now live. The company has a team of sandblasting professionals who are experts in dustless blasting OKC. They use various materials for sandblasting OKC, including pumice, aluminum oxide, glass bead, steel grit, walnut shells, corn cobs, silicon carbide, crushed glass grit, plastic abrasives, and steel shot. With the new website, OKC Sandblasting hopes that they will be able to reach out to more customers and help them with their sandblasting needs. OKC Sandblasting uses a wide range of OKC sandblasting techniques to remove surface imperfections. They usually use aluminum oxide for surface preparation and finishing. Walnut shells are particularly beneficial when there’s aggressive cleaning and scraping to be done. Crushed glass grit removes contaminants from surfaces. Aggressive and rough surfaces are cleaned with steel grit. OKC Sandblasting uses steel shot to give a metallic surface a polished look. Corn cobs are used for the treatment of delicate surfaces. The abrasive is propelled at high pressure to remove grease, dust, and dirt from the surface. Without paint and luster, products don’t appeal to customers. Rusty components also affect the performance of machines. OKC Sandblasting knows what safety measures should be observed during the sandblasting process. ​Their technicians wear the right protective outfit and conduct the process in a carefully controlled room with proper ventilation. 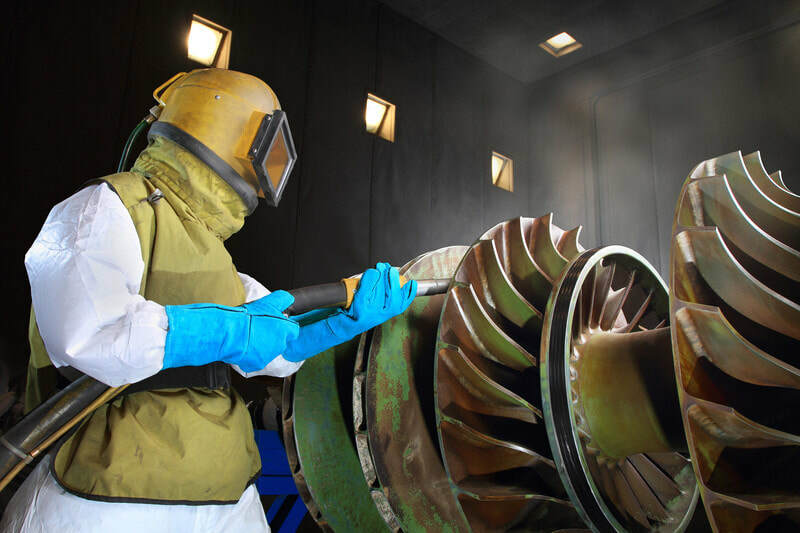 Compressed air or steam is blasted at high speeds to clean metallic surfaces. Their technicians wear the right protective outfit and conduct the process in a carefully controlled room with proper ventilation. Compressed air or steam is blasted at high speeds to clean metallic surfaces. OKC Sandblasting can also use their sandblasting equipment to etch or carve a design onto plastic or glass surfaces. Images and words may be engraved through glass etching. Sandblasting stencils allow them to create different angles and improve the look and feel of any interior. Those who have allergies can benefit from dustless blasting. OKC Sandblasting uses either a vapor or dry blast pot together with water from a wet head nozzle to suppress dust while sandblasting. ​For metal surfaces and machinery such as food processing equipment, they use dry ice blasting to remove contaminants on the machine and improve its surface layer. Soda blasting is used to restore metals, automobiles, and equipment without damaging the underlying surface. Oklahoma City Sandblasting applies this technique for removing paint, graffiti, varnish, and oil. 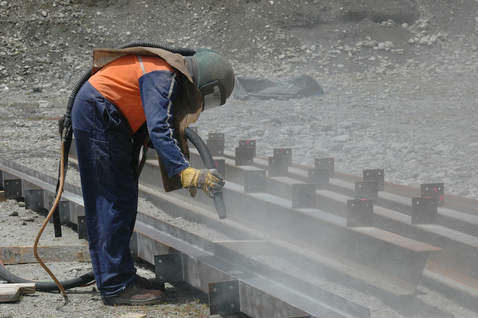 For metals like steel, they use sponge blasting to provide a fast, yet efficient and safe low dust process that can remove all contaminants on the metal. Homeowners who want to restore the appearance of their home can benefit from brick blasting. This technique effectively removes grime, soot, and dust without causing any damage to the bricks. OKC Sandblasting offers wood sandblasting for those who want to clean their wooden furnishings. The company’s technicians can make the rings on the wood more significant by raising them through sandblasting. 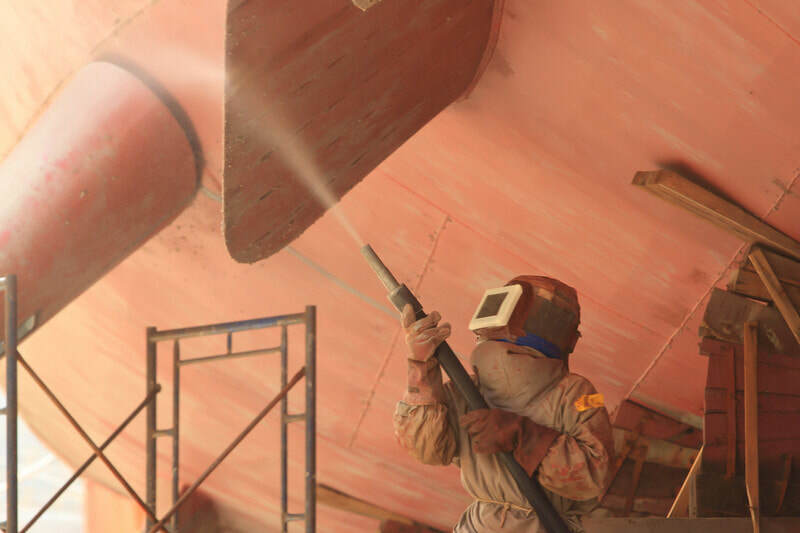 OKC Sandblasting can also help boat owners extend the lifespan of their boats. Pressure blasting strips paint from the hull of the boat to prepare it for refinishing. Businesses and homeowners who want to restore the appearance of their interior and machinery can now reach out to Sandblasting OKC without leaving their home. They can contact the company by phone or send an email through the new website. OKC City Sandblasting specializes in dustless sandblasting. Those who are looking for Sandblasting near me can trust the company to send a team of experts to help them. They use environmentally safe materials and various blasting techniques to blast a wide range of surfaces.